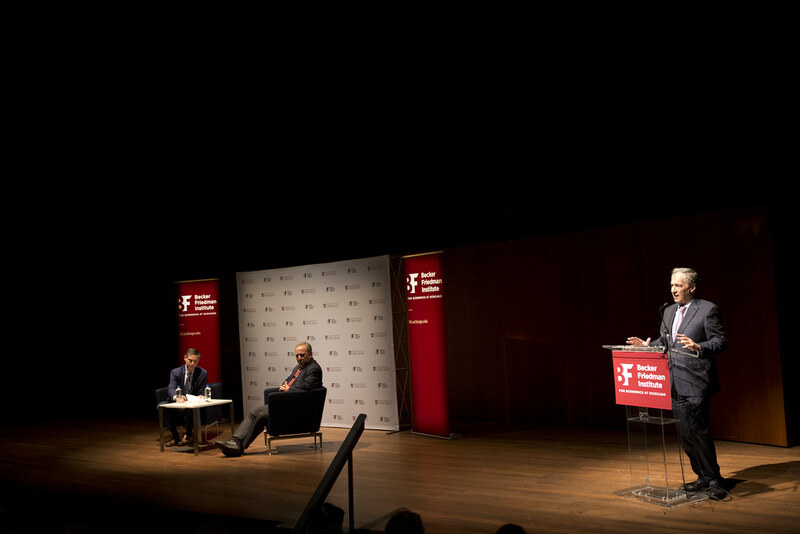 Lawrence H. Summers, the Charles W. Eliot University Professor of Economics at Harvard University, has had one of the most distinguished careers in history at the intersection of academia and public service. A former World Bank Chief Economist, U.S. Treasury Secretary (Clinton), Harvard University President, and Director of the White House National Economic Council (Obama), he is a leading voice on economic policy for decision-makers around the globe. University of Chicago President Robert J. Zimmer opened the program with welcoming remarks. Michael Greenstone, the Milton Friedman Professor in Economics and Director of BFI, moderated the roundtable discussion.